For nearly two decades, RV owners have been trying to get a clear answer about a tire made by Goodyear Tire & Rubber Co. that they say has wrecked countless lives—at least nine deaths, dozens of injuries and serious crashes. In numerous legal battles, Goodyear has been accused of aggressively covering up a defect with the tire, preventing a recall from being ordered. What’s even more shocking, plaintiffs say, is that a crucial piece of testimony by a Goodyear employee that might have served as a smoking gun confirming awareness of the tire defect was also destroyed—at Goodyear’s request. In 2003, Goodyear was defending itself in one of the 41 lawsuits filed against the company for allegedly selling the G159 tire that, based on Goodyear’s own internal data and experts, wasn’t suitable for motorhomes. As one plaintiff’s attorney who has litigated G159-related cases put it, the G159 is “the worst tire made in history,” even more failure-prone than the legendarily bad Firestone tires sold on various Fords in the 1990s. The plaintiffs in that case, Harold and George-Anne Phillips, filed their complaint in 2002, after the tread on the left front tire of the couple’s Monaco Windsor motorhome separated as they drove along Interstate 10 in Arizona. The vehicle crashed into an embankment, the suit said, leaving them with injuries and nearly totaling their RV. “The tire was... defective in design and/or manufacturing and unsafe for its intended purpose in that the tire read separated internally, thereafter causing the tread to catastrophically separate from the tire,” according to the Phillips’ 2002 lawsuit. As part of the case, in June 2003, the Phillips’ attorney, Guy Ricciardulli, sought the testimony of Goodyear claims administrator Kim Cox. Cox’s alleged statement was a bombshell, if there ever was one. At the time, Goodyear was facing accusations in at least six other lawsuits that it knowingly sold the tire to RV manufacturers, despite knowing it wasn’t safe for motorhomes. And here was an employee openly admitting the company knew there was a serious issue when the tire was used on RVs. Shortly after the deposition began, Goodyear stopped Cox from giving further testimony, and agreed to a confidential settlement of claims for the accident involving the Phillips family. That much everyone agrees on. What’s in dispute is exactly why the deposition was stopped, or that Cox even offered up such a monumental disclosure. That’s because, once the settlement was reached, Goodyear’s attorney in the case, John McCormick, asked the court reporter retained for Cox’s deposition to forward him all “notes and the transcription” of his remarks “for destruction.” As it stands, no transcription of Cox’s deposition exists, though Ricciardulli still affirms it happened. Without a transcription, the situation comes across like a stereotypical he said-she said affair—with attorneys lawyering about a situation that’s only recounted by interpretations of people who were in the room the day Cox spoke. But for one thing, experts and attorneys said having a court reporter send back their notes for destruction is highly unusual. “I haven’t sat through every deposition in the world,” said David Babbe, lecturer at the UCLA Law School. But, he added, that kind of request isn’t something he’s seen before. “That is out of the norm,” he said. The timing of the decision to destroy notes on Cox’s testimony has been questioned by a federal judge, and it has been cited in cases as evidence of Goodyear’s exhaustive legal campaign to keep plaintiffs from knowing the details of just how bad the G159 really was. The move meant that plaintiffs in other G159 cases were prevented from using Cox’s alleged testimony to challenge the company on whether the tire was indeed defective when used on RVs. Additionally, the situation could receive renewed focus after the National Highway Traffic Safety Administration’s opted last month to open an investigation into whether the G159 failed because it was put to use on a motorhome, which it was never designed to do. Reached by phone, McCormick said he has no recollection of the situation. Cox couldn’t be reached for comment through publicly listed phone numbers connected to him, despite repeated efforts. Ricciardulli, meanwhile, didn’t think much of the request at the time and signed McCormick’s letter to the court reporter. It was a simple property damage claim, after all. The case might’ve been settled, but Goodyear has continually denied Ricciardulli’s version of the Cox deposition. And the company was apparently quite bothered by Ricciardulli talking about what went on that day in 2003: at one point, it even asked a federal judge to sanction him for allegedly revealing confidential information. It was an intense legal battle Ricciardulli never would’ve expected to find himself in. “I’ve never been accused of anything like that,” Ricciardulli said. In cases related to the G159, Cox’s remarks and the destruction of his testimony has come up time and again, a situation that—according to plaintiffs—shows that Goodyear knew the G159 was ultimately problematic when used on RVs. But according to Ricciardulli, it was obvious that Goodyear stopped the deposition because of Cox’s statement. “I have concluded then, and I believe now, that Goodyear’s newfound interest in mediation was a direct consequence of the damaging nature of Mr. Cox’s admission of liability,” Ricciardulli wrote in a 2007 affidavit. More than a decade later, his recollection hasn’t changed. “The guy said the tire is unfit for motorhomes,” Ricciardulli told Jalopnik. The Phillips family already had experienced an accident involving their Monaco in 2000, just weeks after purchasing the RV. Luckily, they weren’t injured, and Goodyear took care of their property damage claim without having to go to court. But the second time around, in 2002, Goodyear apparently wasn’t as receptive. In the intervening years, the company had been hit by a barrage of legal claims over the G159. 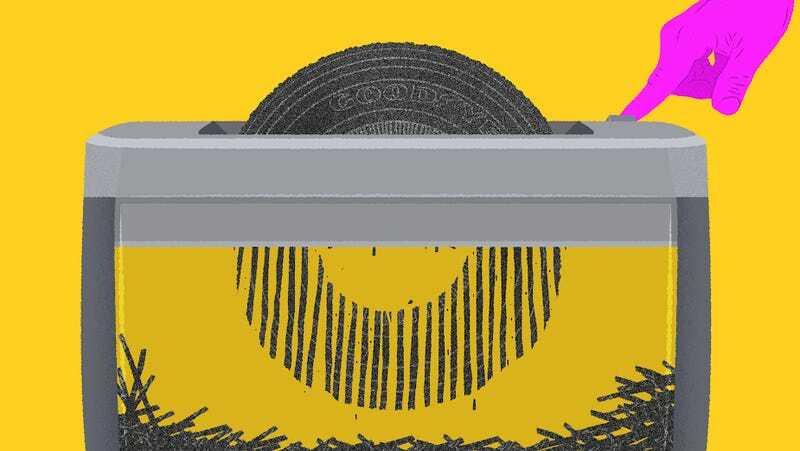 When equipped on motorhomes—commonly used for travel on highways at speeds well above 65 mph—the tires were prone to heat-induced failure, numerous lawsuits allege, and as early as 1999, RV owners across the U.S. reported accidents due to tread separations and blow-outs with G159 tires. Beyond the Phillips’ case, at least nine deaths and nearly three dozen injuries are linked to accidents involving the G159, according to a Jalopnik investigation. Court records show that number’s almost certainly higher, illustrating the high-stakes of legal cases over the tire: in court, Goodyear admitted it has received at least 98 injury and/or death claims from issues with the G159. No recall has ever been issued. When Ricciardulli took the Phillips case in 2002, he was aware the tire had some problems, but not to the extent that was later revealed. For him, the lawsuit was straightforward: his clients just wanted to get their RV fixed. “This wasn’t a big case,” he said. Since Cox handled the Phillips’ property damage claim arising out of the 2000 incident, Goodyear offered him up to testify about the company’s handling of that case. So, in mid-June of 2003, Ricciardulli flew to Goodyear’s headquarters in Ohio to take Cox’s deposition. The interaction was short-lived. It just so happened, right after the deposition began, Goodyear attorney John McCormick coincidentally received authority from the company to mediate the case, “which I immediately communicated to Mr. Ricciardulli,” according to an affidavit later filed by McCormick. “At that juncture, Mr. Ricciardulli and I agreed to adjourn the incomplete deposition of Mr. Cox,” McCormick wrote in the 2007 filing. But it isn’t that simple. That’s because Ricciardulli’s description of events departs drastically from McCormick’s take. As Ricciardulli described it, the deposition was halted after Cox offered up a stunning admission: when it came to the G159, Cox said the tire didn’t perform “properly” when used on an RV—and Goodyear knew it was problematic. “I don’t think they ever suspected he was going to say what he ended up saying,” Ricciardulli told Jalopnik. In his 2007 affidavit, Ricciardulli couldn’t recall the exact phrasing Cox used, but the effect of his statement was obvious. Both sides agreed to a settlement, and a protective order was entered that barred any discussion of the case outside of court. Due to the order, the discrepancy over Cox’s testimony wasn’t known until 2007, when Timothy Casey, an attorney in a separate G159 case, reached out to Ricciardulli to ask about his experience litigating against Goodyear. At the time they spoke, Ricciardulli told Casey he didn’t remember the name of the witness, but he recalled they had “admitted there was a defect” in the tire, and upon making the statement, Goodyear’s counsel “shut down” the deposition. Ricciardulli declined to provide Casey any documentation from the case, citing the protective order. Following the conversation, Casey set about confirming Ricciardulli’s version of events. About two weeks after speaking with Ricciardulli, Casey contacted the court reporter’s company, Merritt & Loew Court Reporters, which confirmed Cox’s name and that his deposition was stopped. On Oct. 1, 2003, the court reporter sent a letter back to Goodyear’s attorney with notes and exhibits from the deposition attached. “The deposition was never transcribed,” the court reporter, Joyce Zingale, wrote. Merrit & Loew’s Beth Merritt told Jalopnik the company moved offices in 2010 and purged old files in the process. Upon further questioning, Merritt told Jalopnik to stop calling and hung up. Thomas Regan, an attorney representing an insurance company that intervened in the case, American and Foreign Insurance Company, also wouldn’t talk. When asked if he was aware a judge later ruled that Cox’s deposition wasn’t subject to the protective order, Regan still declined to comment. In a follow-up call to his office, Regan’s secretary told Jalopnik not to contact him again. As a result of Casey’s effort to find out more about Cox’s deposition, Goodyear launched a legal battle of its own against Ricciardulli. According to Goodyear, Ricciardulli violated the protective order in the Phillips case when he opened up about the Cox deposition. But Ricciardulli said he was under no impression that was the case. Goodyear’s accusations were maddening, he said. On one hand, Goodyear thought the alleged remarks shouldn’t be revealed because an actual transcript of the deposition doesn’t exist; on the other hand, Goodyear felt Ricciardulli should be punished for talking about a deposition in which no official transcript exists. Before a hearing in court, Ricciardulli said, one of Goodyear’s attorneys, Basil Musnuff, actually apologized to him for the situation. Musnuff didn’t respond to a request for comment. In the spring of 2008, a federal judge, Rudi Brewster, agreed that Goodyear’s claims were off-base and ruled that Ricciardulli’s version of Cox’s deposition should be unsealed. Ricciardulli’s take on Cox’s deposition is unquestionably relevant to the public interest, the judge said. But the timing of the decision to dispose Cox’s deposition notes could’ve been problematic, a federal magistrate judge noted in the Phillips case. The company, for one thing, was facing numerous legal claims at the time over the G159. “This destruction was particularly risky given the fact that at the time there were other pending lawsuits alleging a defect in the G159 tire,” the magistrate, Nita Stormes, wrote. Babbe, lecturer at the UCLA Law School, said it’s not unusual for a company like Goodyear to try to secure protective orders that’d require deposition transcripts to be destroyed at the end of litigation. What is unusual, he said, is that the court reporter was asked to destroy notes from the transcript. Cox has since been deposed again over his alleged remarks, but, due to the expansive protective orders Goodyear secured in G159-related cases, his later depositions remain sealed. What would’ve happened had Cox’s remarks in 2003 been revealed at an earlier time? It’s hard to say. Cox’s alleged testimony is cited in ongoing G159-related litigation over what a federal judge described as a years-long effort by Goodyear attorneys to hide relevant testing data in some of the cases. Without the protective orders, which prohibited plaintiffs from sharing information with other victims, it’s possible that Cox’s remarks could’ve influenced other cases. Judge Brewster said as much in the Phillips case. “The information is highly relevant,” Brewster wrote, adding that Cox’s testimony could’ve possibly been viewed by a jury as an admission of liability by Goodyear, or at least shortened the length of other G159 cases. Ricciardulli said he hadn’t thought about the case in nearly a decade. But years later, despite Goodyear’s contradictory statements about Cox’s testimony, his story hasn’t changed.